Princes Quay is a shopping centre situated in the heart of Kingston upon Hull in East Riding of Yorkshire. It first opened in 1991 and the centre is noted for its unusual construction, being built on stilts over the Prince's Dock after which it is named. 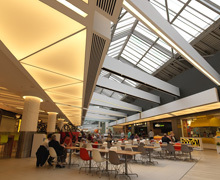 Taking advantage of its unique location, the shopping centre has an expanse of windows giving shoppers panoramic views of the dock and Hull Marina. 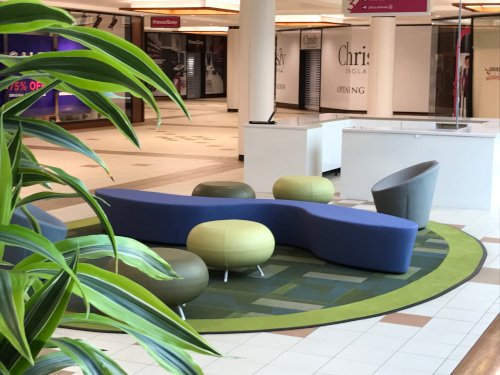 With Hull being awarded the “City of Culture” in 2018 this project was part of a refresh of the interiors of the shopping centre. 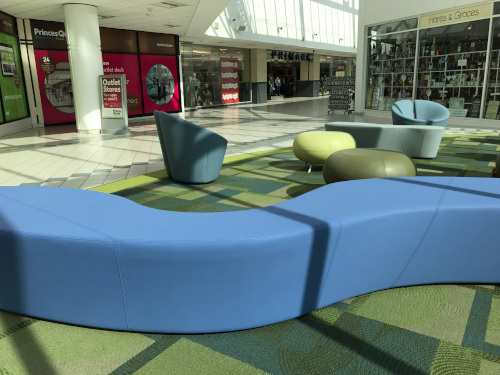 The objective of the project was to create soft seating pause points for shoppers to relax and take a break, which in turn would help increase their spending. 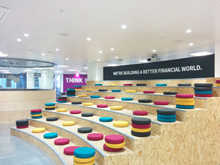 We worked closely with the architect to develop the layouts of these informal area to include various types of breakout seating. 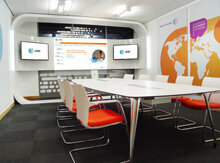 In this particular project the architects selected products from two suppliers +Halle and Allermuir. 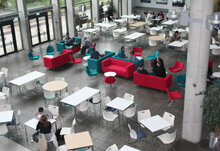 The products chosen from +Halle were the Plasma bench and the True Love seat and from Allermuir; Pebble seating. The Plasma bench is a functional piece of abstract furniture. In this project it forms the centrepiece of the seating area and sets the modern tone for the seating area. 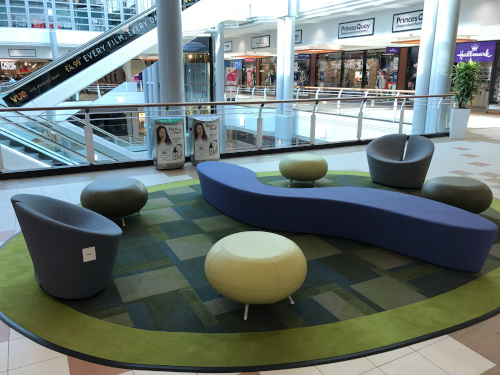 The True Love seat is an instantly recognisable chair. 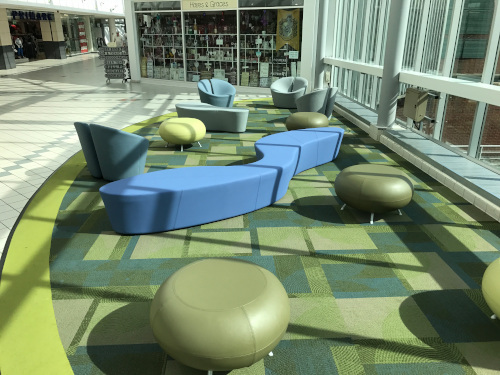 It offers an alternative to the traditional upholstered chair while adding another stylish yet comfortable option for visitors. 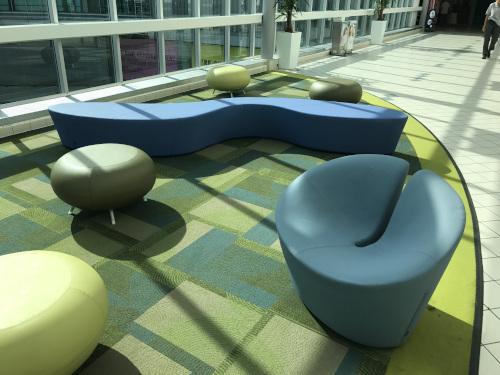 The Pebble seat is a really versatile stool that allows for interactivity, as they can be nestled together or used individually as in this project.